Since opening their Yaletown location in 2010, Bombay Brow Bar has become a virtual mecca for grooming conscious men and women. Last week sisters and founders Ravy Mehroke and Amy Minhas brought their team of arch angels to Vancouver’s West Side with a brand new shop on West 4th Avenue in Kitsilano. Being a natural blonde, my eyebrows tend to disappear into my face. Because of that, I must admit to neglecting my eyebrows more often than not. If I can’t see them, who else can? The ladies at Bombay Brow Bar certainly can. While I’d long been curious about threading – an ancient Indian technique of hair removal by twisting and rolling fine thread across the surface of the skin – I’d yet to try it. Bombay Brow Bar also offers its clients the options of waxing and tweezing, but threading is their preferred method. It’s much more gentle on the skin, is virtually painless and guarantees you’ll be on your way in mere minutes. Though above-the-neck hair removal is all they do, Bombay Brow Bar is much more than a place to have your brows shaped into perfection. Bombay prides itself on treating its clients to an utterly fabulous eyebrow experience. Greeted with a friendly smile and a warm cup of chai tea, brow babes start with a “gossip session” about their brows before a brow shaping, a soothing massage with rosewater gel and a complimentary make-up touch-up. Eyebrows are a funny thing. They’re often too tweezed, too overgrown, too thin, too arched or even give one the appearance of being perpetually surprised. Very rarely are they skillfully perfected but a quick visit to Bombay Brow Bar has made me a believer. 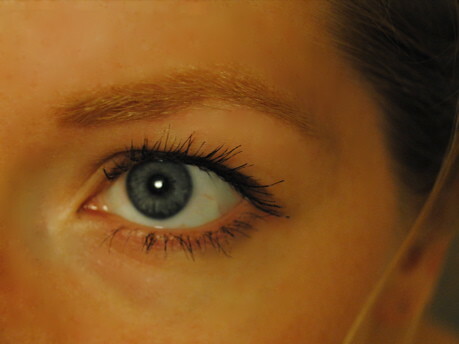 When properly shaped, a set of savvy brows can frame the eyes and entirely change the look of one’s face. Visit Bombay Brow Bar at their new Kitsilano location at 2206 West 4th Avenue (at Yew Street) seven days a week. You can also still visit them in Yaletown at 1056 Mainland Street. Appointments are just fine but walk-ins are also more than welcome! Become a fan of Bombay Brown Bar on Facebook, follow their updates on Twitter or get in-the-know on their official website. I started doing strictly threading about a year ago and I will never go back to waxing. Like you, I have light eyebrows. The last 2 times I went I have had them tinted, it makes a world of difference and I am hooked. That place looks beautiful!! I love the decor. I’m going. My respect for women increased tenfold when I curiously took my sister’s tweezer at the age of 19 and plucked a couple of hairs in between my eyebrows. It feel like someone had hit me with a hammer! Never again!